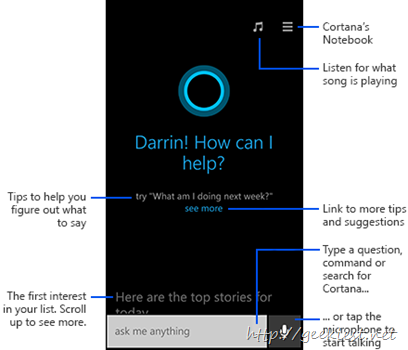 Cortana is your personal assistant on your Windows Phone. She's there to help make things easier for you and keep you up to date on the things that matter to you. Have you ever used a personal assitant like the Cortana, Siri or Google Now ? and what is your experience ? please share with us. 50 voice commands for Siri, Cortana and Google Now.